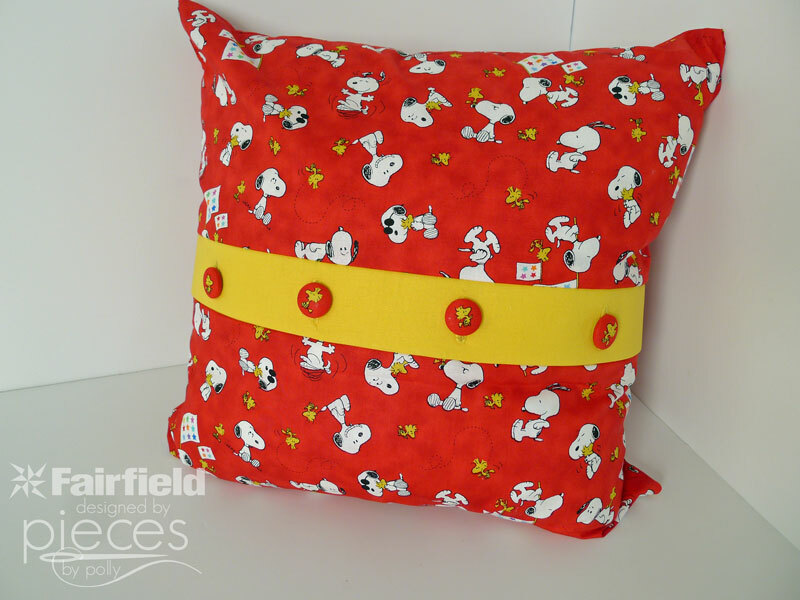 Most pillow forms have the opening on the back, but this fun design puts the opening on the front as the focal point. 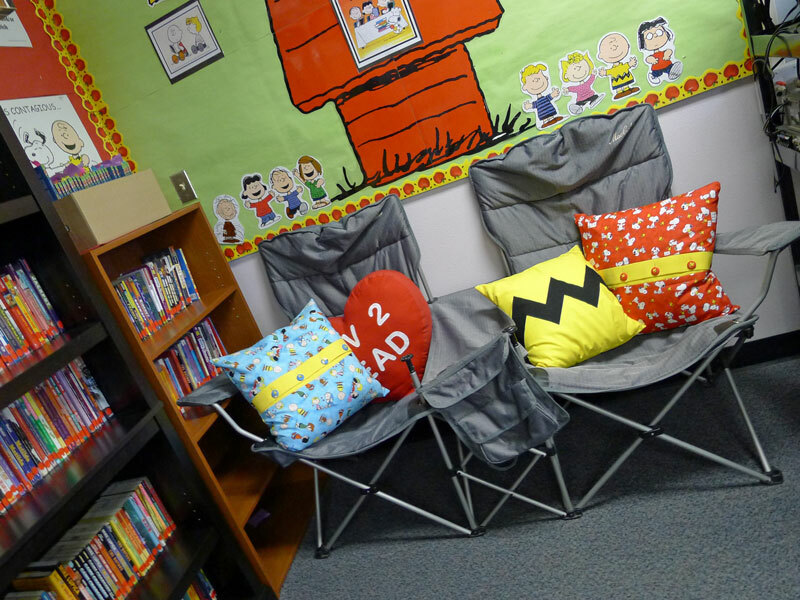 These would look great with any kind of fabric, and could match any decor. 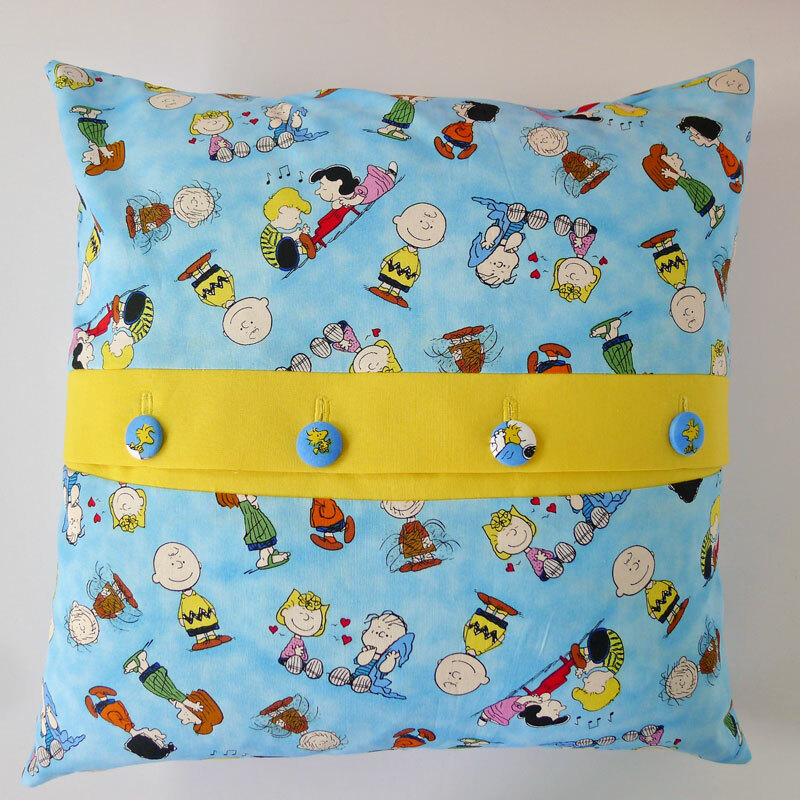 And don't worry about finding matching buttons...you'll make your own buttons with your fabric. 1/4 yard contrasting 100% cotton quilt fabric. Start with the two accent rectangles. Fold them both in half "hot-dog" style and iron. Slip your Smooth interfacing between the two layers of your folded accent rectangles. Line it up all the way against the fold. Iron according to manufacturer instructions. Line the raw edges of your accent piece up with the raw edge of your 9 x 19 piece. Sew with a 1/2 seam allowance. Iron seam allowance toward your main fabric. Line up your two pieces, so that the accent pieces completely overlap. When laid out this way, together they should make a 19 x 19 inch rectangle. Now we're going to mark the button holes. Sew your button holes. If you've never sewed a button hole before, this is a great chance to be brave! Line your two front pieces up again, so that the yellow parts overlap completely. Use a pencil to mark for the buttons through the center of the button hole. Now you'll want to get your buttons ready. 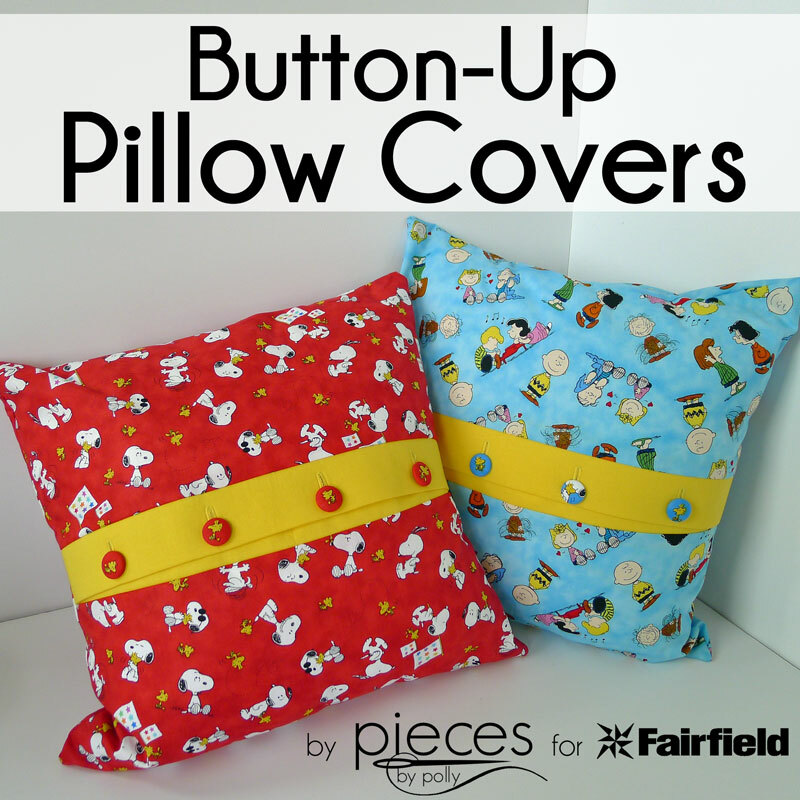 Fabric covered buttons are REALLY easy to make. Everything you'll need is included with the kit. Use the included circle to cut out your fabric circles. Make sure the design you want on your button fits inside the inner circle, and from there just follow the directions on the package. 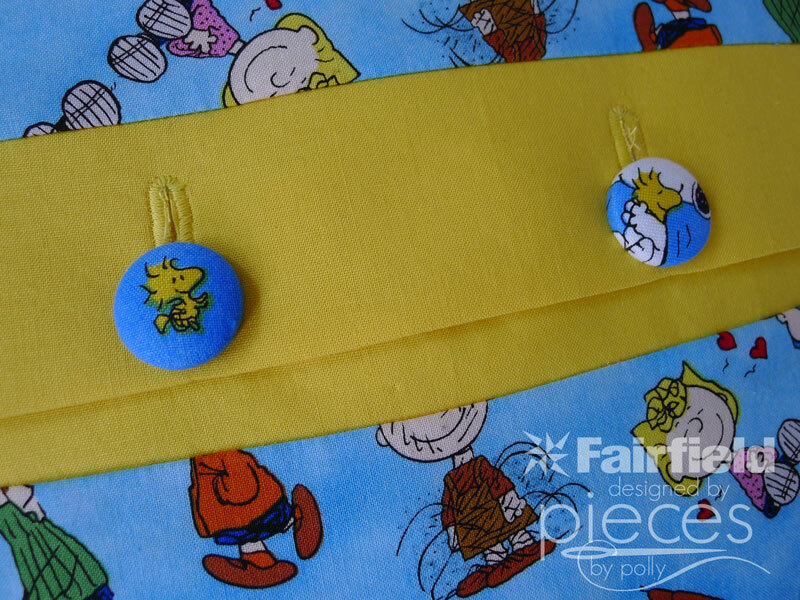 Sew your buttons onto your second half. Button up your pillow top. Lay it over the back of your pillow with RIGHT SIDES TOGETHER. 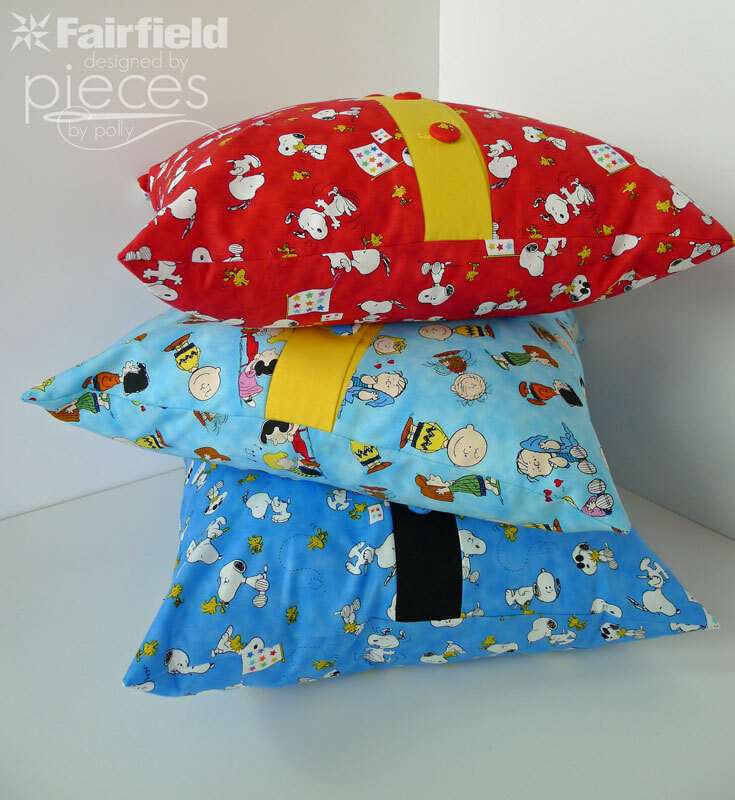 Sew around all four edges with a 1/2 inch seam allowance. Unbutton your pillow cover and turn right side out. Insert your pillow, and button it up. 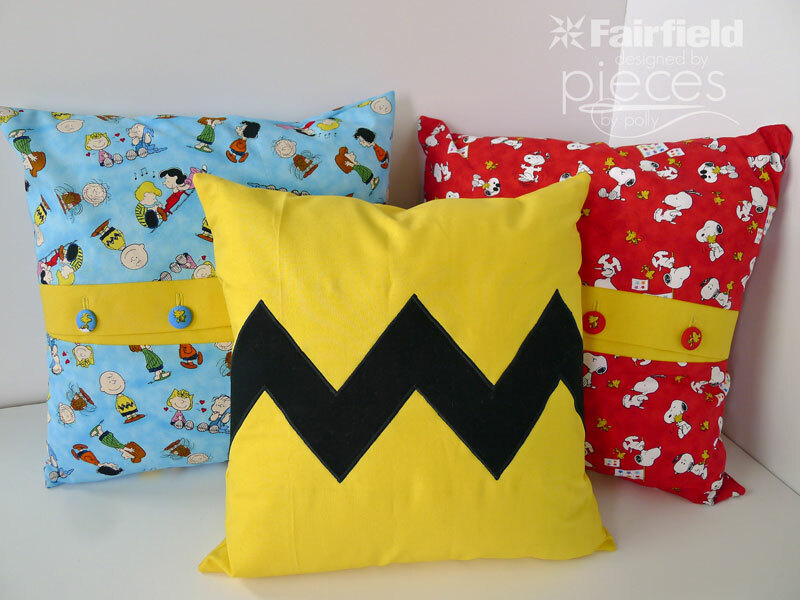 And if you're a real Snoopy and Peanuts fan, you might also want to make one of these Charlie Brown inspired chevron pillows. 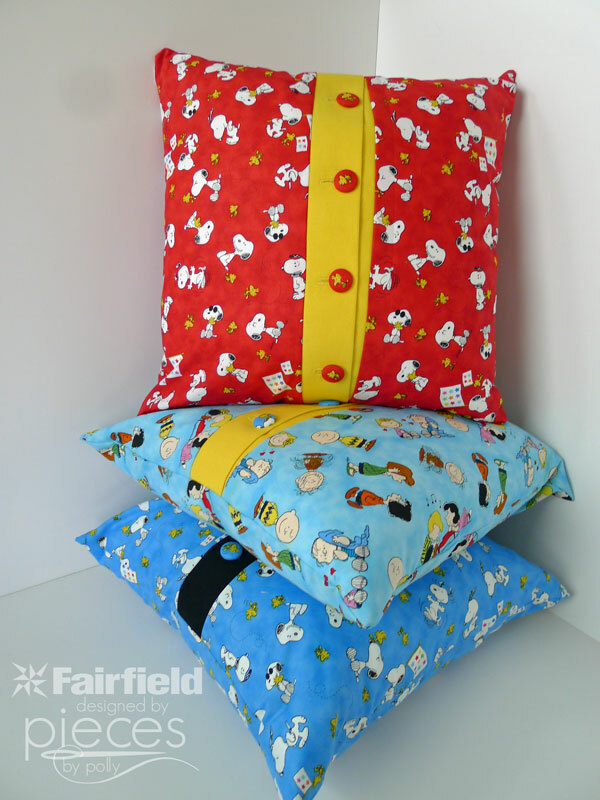 My full tutorial is on the Fairfield World website.